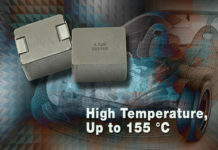 Vishay Intertechnology introduced the latest device in its fourth generation of 600 V E Series power MOSFETs. Providing high efficiency for telecom, industrial, and enterprise power supply applications, the Vishay Siliconix n-channel SiHH068N60E slashes on-resistance by 27 % compared with previous-generation 600 V E Series MOSFETs while delivering 60 % lower gate charge. 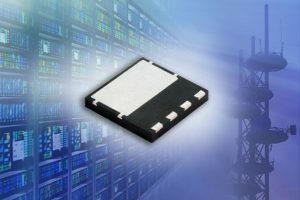 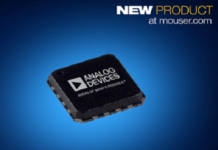 This results in the industry’s lowest gate charge times on-resistance for devices in the same class, a key figure of merit (FOM) for 600 V MOSFETs used in power conversion applications. 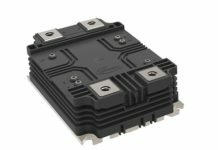 Vishay offers a broad line of MOSFET technologies that support all stages of the power conversion process, from high-voltage inputs to the low-voltage outputs required by the latest electronic systems. 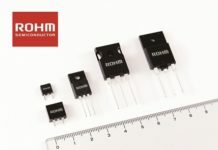 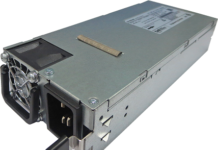 With the SiHH068N60E and upcoming devices in the fourth-generation 600 V E Series family, the company is addressing the need for efficiency and power density improvements in the first stages of the power system architecture — power factor correction and hard-switched DC/DC converter topologies. 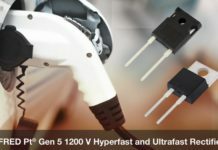 Offered in the PowerPAK® 8×8 package, the device released today is RoHS-compliant, halogen-free, and designed to withstand overvoltage transients in avalanche mode with guaranteed limits through 100 % UIS testing.